The beginning of Japanese club „Hashi“ dates back to 1998. 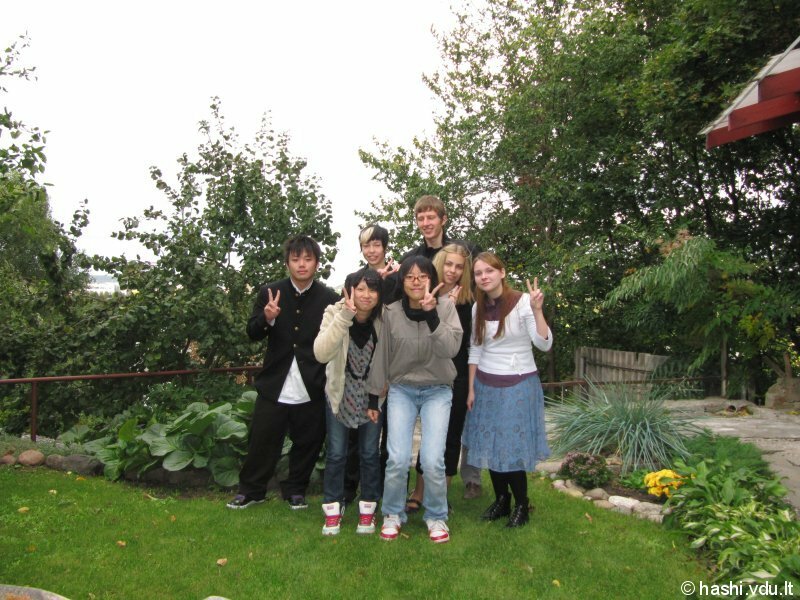 However, the then “Kaunas Japanese Club” was officially established on September 5, 2000. The reason for the club to start was Japanese language students’ wish to get to know more about the Land of the Rising Sun, its customs, traditions, culture – more than it is usually possible during Japanese classes. Before, the events were mostly intended for the club members themselves. We learned about Japanese cuisine, studied Zen philosophy, celebrated traditional Japanese festivals, worked on our ikebana skills, “baptized” newcomers and even organized a “real” Japanese wedding! 2007 is marked in the history of the club as the year of revival. A group of students decided to “take the bull by the horns” and make the first step in presenting the club to the public, organizing regular meetings and engaging in more varied activity. The most common were Japanese movie screening events. At the beginning of 2009, the regular movie nights were started to be replaced by various more active events – karaoke, hanami, Japanese cooking class. A new tradition appeared – after the event, all the guests would be invited to stay and chat while drinking Japanese tea. This way communication among members was encouraged. 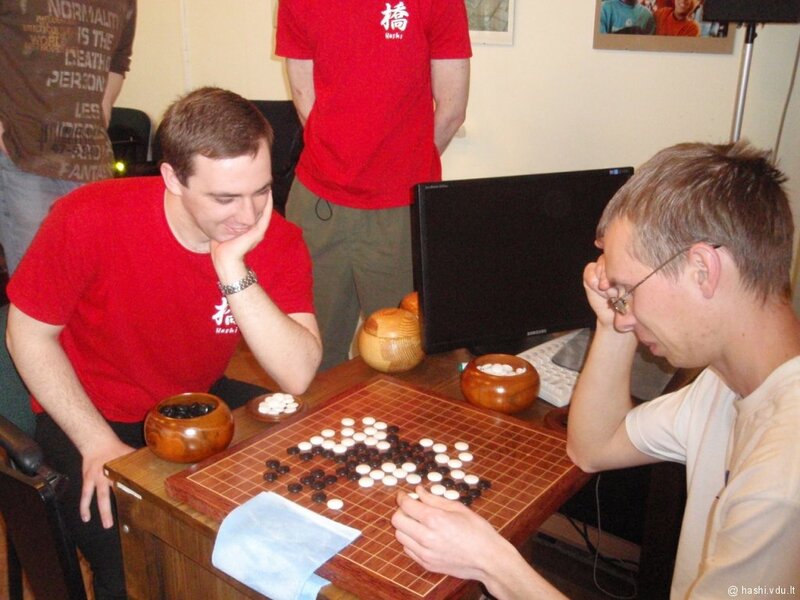 New ideas for the upcoming events were also often developed during these informal discussions. At the same time, “Hashi” webpage, created back in 2008, was being developed, in an attempt to present the newest information about the Japanese club “Hashi” events, as well as update people on Japan related events, happening in Kaunas. The academic year 2009/2010 presented us with a club logo. We are also happy to have had many guests from Japan. In addition, other “Japanese” clubs visited us for the first time. One of them was “Sakura Klubas” a Japanese culture club organised by the Embassy of Japan in Lithuania. We are trying to introduce Japanese culture to various people, therefore we agreed to cooperate with Kaunas “Atzalynas” middle school, where a lecture and Japanese workshops were organised. Moreover, since March, 2010 a Saturday school for Japanese language was started. It is a VDU UKC, ASC and „Hashi 橋“ project, designed for the public who want to learn basic Japanese. We are proud that this year we have not only more events, but also more new members. Some photos of our life could be found in the Gallery. “Hashi” is based on student clubs’ model in Japan and is managed solely by students. Nevertheless, the events organized by the club are open to the general public. 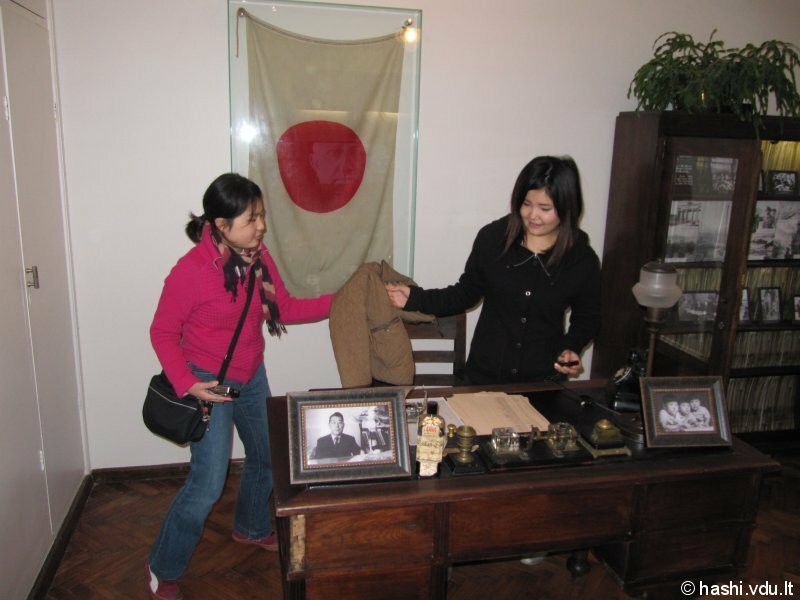 The location for the events is Sugihara House. We are grateful for the location and for various advice to the Asian Studies Centreand especially to its director, lect. Aurelijus Zykas. Our club seeks to present Japanese culture to the public, as well as help Japanese people, visiting Kaunas, see more than usual tourists do. “Hashi” is a non-profit organisation, always open for new people and new ideas!